The French in Martinique had been unable to oust the defenders from the strategically important rock, and the British garrison was able to control access to Fort-de-France Bay, firing on ships attempting to enter it with guns they had placed on the cliffs. The arrival of a large combined Franco-Spanish fleet in May changed the strategic situation. The French commander, Pierre de Villeneuve, had vague orders to attack British possessions in the Caribbean, but instead waited at Martinique for clearer instructions. He was finally persuaded to authorise an assault on the British position, and a Franco-Spanish flotilla was despatched to storm the rock. Already short of water, the defenders held on in the summit for several days, while the French, who had neglected to bring scaling ladders, could make little headway. The British, short of both water and ammunition, eventually negotiated the surrender of the rock after several days under fire. As Diamond Rock was legally considered a Royal Navy vessel, and the commander was legally "captain" of it, after repatriation, he was tried by court-martial (as the law dictated in any case where a captain loses his ship, regardless of the cause), but was honourably acquitted. Diamond Rock had been fortified in January 1804 on the orders of Commodore Samuel Hood. Hood had been active in the West Indies, protecting British convoys from French privateers issuing out of the two major naval bases the French retained in the Caribbean, at Guadeloupe and Martinique. The privateers had captured a number of valuable cargoes and were diverting British warships to protect the merchant fleets. Hood decided to blockade Martinique, and thus curtail the privateers and intercept supplies destined for the French garrison. Patrolling off the bay at the southern end of the island, in which one of Martinique's two main ports, Fort-de-France, was located, Hood saw that if Diamond Rock could be occupied, it would allow the British to effectively control the shipping approaching the ports on the western side, as the currents around the island made the easiest approaches mean passing within sight of Diamond Rock. Hood reconnoitered Diamond Rock and considered it excellently defensible, with the only possible landing site being on the western side. He wrote that 'thirty riflemen will keep the hill against ten thousand ... it is a perfect naval post.' 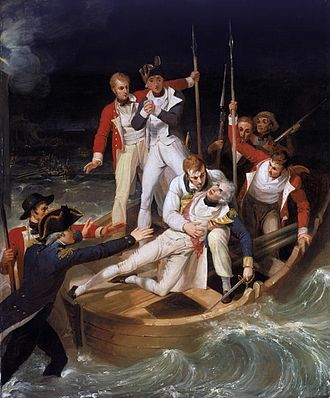 A party of men were landed on 7 January 1804, from Hood's flagship HMS Centaur, under the command of Centaur's first lieutenant James Wilkes Maurice. They promptly fortified the small cove they had landed at with their launch's 24-pounder, and established forges and artificers' workshops in a cave at the base of the rock. After fixing ladders and ropes to scale the sheer sides of the rock, they were able to access the summit and began to establish messes and sleeping areas in a number of small caves. Bats were driven out by burning bales of hay, and a space was cleared by blasting at the top of the rock in order to establish a battery. In February a number of guns were transferred over from Centaur, with two 24-pounders being installed in a cave near sea level, another 24-pounder halfway up the rock, and two 18-pounders in the battery at the top. In addition to this the men had use of a number of boats, with one armed with a 24-pounder carronade, which were used to intercept enemy ships. Despite the vulnerability of both Centaur and the Rock to a French gunboat attack while the process of fortification was being carried out, the French neglected to act. The governor of Martinique, Louis Thomas Villaret de Joyeuse ordered work to begin on building a road to the coast opposite the rock, and the establishment of a battery there, but the British were forewarned by the black population of the island who were largely sympathetic to the British. A party was sent onshore, which succeeded in capturing the engineer sent to construct the battery, and three of his men. Work on the battery was abandoned after further British raids on the area. By early February the guns had been installed and tested. The 18-pounders were able to completely command the passage between the rock and the island, forcing ships to avoid the channel. The winds and currents meant that these ships were then unable to enter the bay. With work complete by 7 February Hood decided to formalise the administration of the island, and wrote to the Admiralty, announcing that he had commissioned the rock as a sloop, under the name Fort Diamond. Lieutenant Maurice, who had impressed Hood with his efforts while establishing the position, was rewarded by being made commander. Diamond Rock was to be considered a captured enemy ship, and was technically treated as a tender to one of the boats stationed there, commissioned by the Admiralty as the sloop Diamond Rock, superseding Hood's use of Fort Diamond. This was a mere technicality, and when the boat fell into French hands, another replaced it, and in time the rock became known as the 'Sloop Diamond Rock'. The batteries were also named, the two 18-pounders at the summit were known as 'Fort Diamond' or 'Diamond Battery', while the 24-pounder halfway up was known as 'Hood's Battery'. Maurice had a party of around 100 men under his command on the rock, with the usual officers found on a British warship, including a surgeon, purser, and a junior lieutenant to command the small supply vessel. 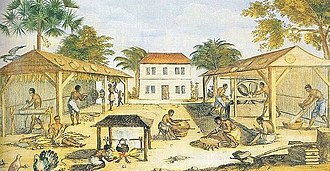 A hospital was established, and food, gunpowder and ammunition were brought to the rock in boats, at first from Centaur, and then from Martinique, where it was purchased from sympathetic inhabitants. Water also had to be brought from the island, and large cisterns were built to store it. The men on the rock ran the risk of falling from the heights or being bitten by the fer-de-lance, a venomous snake inhabiting the rock. With the British presence on Diamond Rock firmly established, Hood departed with Centaur, and the French saw an opportunity to attack. Four boatloads of soldiers were despatched at night, though the sailors who rowed there were extremely pessimistic as to their chances. Exhausted by the time they arrived at the rock, the men were not able to resist the pull of the strong current and were swept out to sea. They were eventually able to make it back to Martinique, with the British only learning of the attempt several days later. The British could have easily sunk the French boats had the French made a daylight assault. Disheartened by their failure, the French made no further attempts to attack the fort from the island. 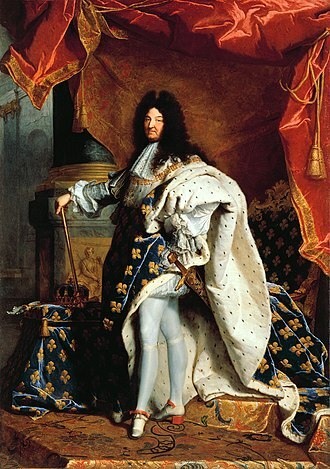 Maurice and his men devoted their time after this to raiding, cutting out ships from the Martinique coast, and interdicting trade. 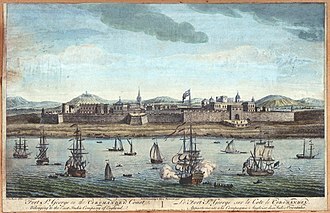 On 14 May 1805, seventeen months after the British occupied the island, a large French fleet arrived in Fort-de-France Bay, having briefly exchanged fire with the British on Diamond Rock as they did so. The fleet, under Pierre de Villeneuve, was joined over the next few days by Spanish ships under Federico Gravina. 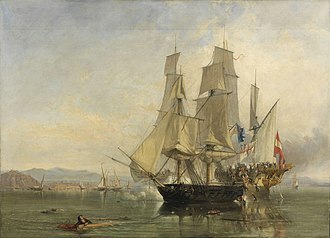 As the Spanish ship San Rafael approached on 16 May, the British hoisted the French flag, luring the Spanish ship to pass close by. 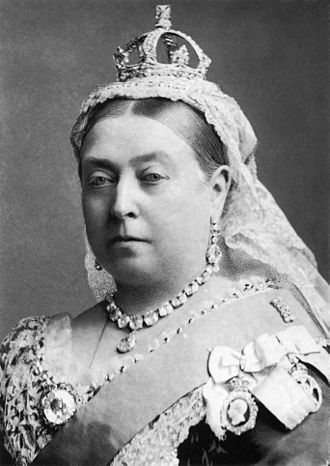 As she did so the British forces replaced the French colours with the British, and opened fire, taking the Spanish by surprise (such a false flag was considered a perfectly legitimate, indeed traditional, ruse de guerre during that era). Shortly after this it was discovered that the main cistern, holding a month's supply of water, had cracked in some earth tremors, and the leak had been made worse by the vibration from the guns. There was barely two weeks left, but fresh supplies were now unobtainable as a blockade of the rock began by a number of schooners, brigs and frigates. The combined fleet carried a large number of soldiers, intended by Napoleon to be used to attack British possessions in the Caribbean. Villeneuve felt however that his orders were not clear, and remained at Fort-de-France, hoping to be joined by a fleet under Honoré Ganteaume, which unbeknownst to him had been unable to break the blockade of Brest. 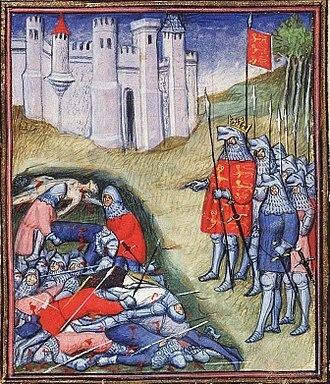 For two weeks Villeneuve lingered in the bay, until finally being persuaded by Villaret de Joyeuse to use his forces to capture Diamond Rock, a thorn in his side for the past seventeen months. Villeneuve gave Captain Julien Cosmao of the 74-gun Pluton command of the expedition. He was to take his ship, the 74-gun Berwick, the 36-gun Sirène, a corvette, schooner, eleven gunboats, and between three and four hundred soldiers (in addition to the ships' crews), and retake the rock. The flotilla left their anchorage on 29 May, but were not able to work into a position to attack windward of the rock until 31 May. Lieutenant Maurice assessed the overwhelming strength of the French, and having decided that it would be impossible to hold the lower stages, spiked the guns covering the landing stage, scuttled the launch, and withdrew his forces to defend the upper levels. Four Spanish gunboats from the ships San Rafael, Argonauta, España and Firme participated in the attack, with a Spanish gunboat being the first to disembark troops on the rock under fire from the British positions. Cosmao began an intense bombardment while the infantry forced their way onto the landing stage, losing three gunboats and two rowing boats full of soldiers as they did so. The attacking force had however neglected to bring any scaling ladders, and could not assault the sheer rock sides. Instead they were forced to besiege the British forces in the upper levels. By 2 June, with his ammunition almost exhausted and water supplies running critically short, Maurice opened negotiations. At four o'clock that afternoon flag of truce was displayed and a senior French officer was despatched in a schooner to offer terms. By 5 Maurice had agreed to surrender Diamond Rock, the officers were to retain their swords and the men would remain under their orders. They were to be taken to Fort-de-France, and from there repatriated to a British settlement at the first opportunity, under parole. With these terms agreed, the British surrendered Diamond Rock. 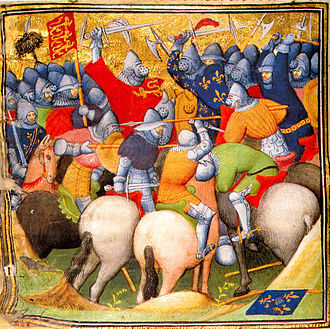 The British had two men killed and one man wounded in the battle. French casualties were harder to judge, Maurice estimated they amounted to seventy, the French commander of the landing force made a 'hasty calculation' of fifty. In addition to this the British had sunk five large boats, and potentially inflicted further casualties during the bombardment of the French warships. 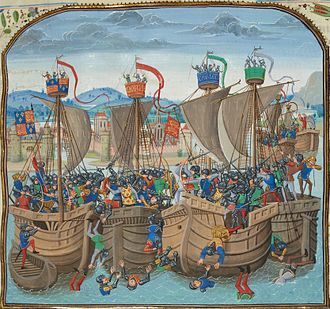 Maurice and his men were taken off the rock on the morning of 6 June and put on board the Pluton and Berwick. 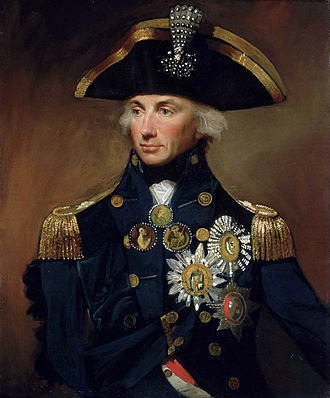 Maurice was returned to Barbados by 6 June, and sent a letter dated that day to Horatio Nelson, who had recently arrived in the Caribbean in search of Villeneuve's fleet. IT is with the greatest sorrow I have to inform you of the loss of the Diamond Rock, under my command, which was obliged to surrender on the 2d ist., after three days' attack from a squadron of two sail of the line, one frigate, one brig, a schooner, eleven gun-boats and, from the nearest calculation, 1500 troops. The want of ammunition and water was the sole occasion of its unfortunate loss.... [our losses were] only two killed and one wounded. The enemy, from the nearest account I have been able to obtain, lost on shore 30 killed and 40 wounded: they also lost three gun-boats and two rowing boats. the Court is of the opinion that Captain J. W. Maurice, the Officers and Company of His Majesty's late sloop Diamond Rock did every thing in their power to the very last, in the defence of the Rock, and against a most superior force ... [Maurice] did not surrender the Diamond until he was unable to make further defence for want of water and ammunition, the Court do therefore honourably acquit Captain Maurice accordingly. We have been masters of the sea for three weeks with a landing force of 7000 to 8000 men and have not been able to attack a single island. The capture of Diamond Rock and the seizing of 15 merchant ships were the only successes that the combined fleet had during their Caribbean campaign. The rock remained in French hands until the capture of Martinique in 1809. ^ Trafalgar Campaign: The Atlantic and the West Indies Rickard, J. 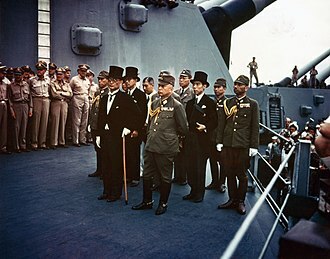 Military History Encyclopedia on the Web. ^ a b Adkins. The War for all the Oceans. p. 126. ^ a b c d e f g h i j Adkins. The War for all the Oceans. p. 127. ^ a b c d Adkins. The War for all the Oceans. p. 128. 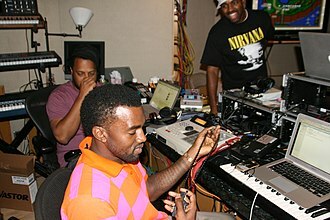 ^ Tracy. Who's who in Nelson's Navy. p. 245. ^ a b c Adkins. The War for all the Oceans. p. 129. ^ Adkins. The War for all the Oceans. pp. 154–5. ^ a b c Adkins. The War for all the Oceans. p. 131. ^ a b c d Adkin. The Trafalgar Companion. p. 49. ^ a b c d Henderson. Frigates, Sloops and Brigs. p. 302. ^ a b Adkins. The War for all the Oceans. p. 154. ^ Adkin. The Trafalgar Companion. p. 45. ^ a b c d e f g h i j Adkin. The Trafalgar Companion. p. 51. ^ a b Terraine. Trafalgar. p. 82. ^ Lavery. Nelson's navy. p. 94. ^ Miguel Agustin Principe. Narration of the Peninsular war, Madrid 1842–1847. Historical Narration, Vol. 1. p. 319. ^ a b c d e f Henderson. Frigates, Sloops and Brigs. p. 303. ^ Adkins. The War for all the Oceans. p. 157. ^ Adkins. The War for all the Oceans. p. 327. Adkins, Roy; Adkins, Lesley (2007). The War for all the Oceans: From Nelson at the Nile to Napoleon at Waterloo. Abacus. ISBN 978-0-349-11916-8. Henderson, James (2005). Frigates, Sloops and Brigs. Pen & Sword Military Classics. ISBN 1-84415-301-0. Lavery, Brian (1989). Nelson's Navy: The Ships, Men, and Organisation: 1793–1815. Conway Maritime Press. ISBN 0-85177-521-7. Terraine, John (1998). Trafalgar. Wordsworth Editions. ISBN 1-85326-686-8. Wikimedia Commons has media related to Battle of Diamond Rock. 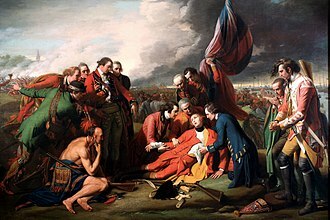 The Battle of Montevideo was a battle between the British and Spanish Empires during the Napoleonic Wars, in which British forces captured the city of Montevideo. 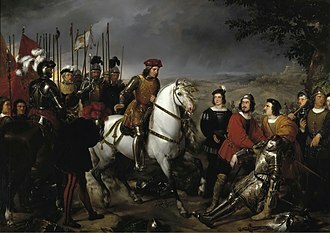 It formed part of the British invasions of the River Plate, locally, it is remembered as the Siege of Montevideo. 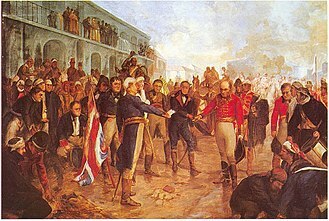 In the early morning of 3 February 1807,3,000 British troops under Brigadier General Sir Samuel Auchmuty attacked the city of Montevideo, about 800 local combatants, mostly non-professional soldiers, became casualties, of whom about 200 were killed. Total British casualties were about 70 killed and wounded, casualties amongst the British soldiers were heavy as the troops sought an entry point, while being caught in a constant cross-fire. Finally, the breach was located first by Captain Renny, 40th Regiment of Foot, Lieutenant Harry Smith of the 95th Regiment of Foot was the second to locate the breach. 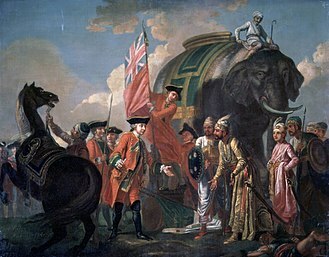 This was Lieutenant Smiths first campaign and he would become famous as Lieutenant General Sir Harry Smith. Once inside the walls, the British continued to meet heavy resistance, a forlorn hope was formed by a small detachment of the 54th Foot. This was followed by the combined, elite infantry and grenadier companies of the regiments involved. Next in line were the 38th Foot, followed by the 40th Foot, a detachment of Royal Marines was present. Reinforcements for the defenders came en route from Buenos Aires, so that the success of the operation was essential. On hearing the noise of battle inside the walls, the 87th were unable to wait for the gate to be opened for them by their comrades, after scaling the wall, they attacked the defenders from behind. The 95th occupied the tower of the cathedral, and were able to use the modern Baker rifle to great effect against the citys main fortress. 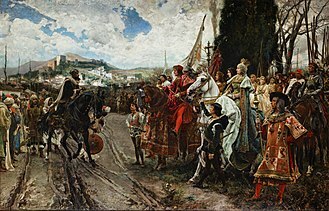 This, together with the general British advance through the city, in his dispatch, which announced the citys capture, Auchmuty paid tribute to Ruiz Huidobro, and by extension his force, who defended the town and citadel of Monte Video with great spirit. 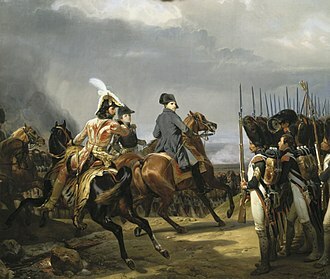 He made mention of the Frenchman Hipolite Mordeille, who had been prominent throughout the defence, mordeilles corps had been entrusted with the defence of the breach, being best calculated for that arduous service, in which they were very nearly annihilated, in the British commanders opinion. Julien Marie Cosmao-Kerjulien was a French Navy officer and hero of the Battle of Trafalgar. Completing his studies in Châteaulin, young Cosmao-Kerjulien joined the French Royal Navy in 1776 and he served in the Aigrette in the Caraibs. Back to Brest in 1778, he served on the Oiseau with Corentin de Leissegues, in September, after the beginning of the American Revolutionary War, he served on the Nymphe, taking part in two battles against English privateers, near Bordeaux and Belle-Isle. Between January 1779 and April 1781, he served in Guyana aboard the brig Hirondelle and he was promoted to Lieutenant of an auxiliary frigate in September 1781. He served successively aboard the Pégase and the Protecteur before taking command of the Fluyt Fidèle in Terre Neuve from May 1783 to April 1784, in January 1785 he served on the Lourde, on the Vigilante on October and the Dorade in April 1786. He was made a sub-lieutenant on a ship of the line in March 1786, in September 1787, he was given command of the brig Vaneau, and of the Boulonnaise for November 1787 to March 1790. From October 1790 to January 1791, he was first officer aboard the Précieuse, from February 1791, he served aboard the Orion of the squadron of Laurent Jean François Truguet in Toulon. He was made ship of the line full lieutenant in January 1792 and he took part in the landing at Cagliari in January 1793. In December 1794 he was transferred to the commanded by Admiral Pierre Martin. On 10 June 1795, he captured the English frigate Alceste, in June 1797, he was made chief of division, commanding the Jemmapes in the Mediterranean. From 1801 to 1803, he served under Dordelin in Saint-Domingue, commanding the French ship Océan, the Alliance, back to France, he assumed command of the 74-gun Pluton in the squadron of Admiral Villeneuve in Toulon. He accompanied the squadron to the Caraibs in its seizing of the English fortress of the Diamond Rock,6 nautical miles away from Martinique. Back to Europe, he took part in the Battle of Cape Finisterre, on 22 July, at the Battle of Trafalgar, Pluton was part of the reconnaissance squadron created by Villeneuve and commanded by Spanish Admiral Gravina. The Spanish ships were a treasure convoy, carrying silver specie and luxury trade goods across the Atlantic Ocean from the colonies of New Spain to Spain. Sighted by British frigate HMS Naiad enforcing the blockade of Vigo late on the 15 October, turning to flee from Naiad, the Spanish soon found themselves surrounded as more British frigates closed in. After a short engagement amid the rocks she was captured by an overwhelming British force. Both captured ships were taken to Britain, where their combined cargoes were transported with great fanfare to the Bank of England, the eventual value of their cargo was assessed as at least £618,040, resulting in one of the largest hauls of prize money ever awarded. The Spanish declaration of war on Great Britain forced the British Mediterranean Fleet to abandon the Mediterranean Sea entirely, retreating to ports at Gibraltar and this force now concentrated against the Spanish Navy, most of which was stationed at the main fleet base of Cádiz in Southern Spain. A British blockade fleet won a significant victory over the Spanish at the Battle of Cape St Vincent in February 1797, other Spanish ports were blockaded with the intention of limiting Spanish trade and movement and intercepting treasure convoys from the colonies of New Spain and South America. Vast quantities of gold and valuable trade goods crossed the Atlantic in regular armed frigate convoys, to intercept and seize these shipments the Royal Navy dispatched their own frigates to patrol the Spanish coast. Turning away to the southeast, the Spanish ships made all sail northeast in search of a safe harbour, with Pierrepont in pursuit. At 03,30 on 16 October, another sail was spotted to the southwest, rapidly revealed to be a second British frigate, the 38-gun HMS Ethalion under Captain James Young. Ethalion joined the chase and at two more sails were sighted, the 32-gun HMS Alcmene under Captain Henry Digby to the west. Young complied, firing long-range shot in Santa Brigidas direction at 09,00, as Naiad and Alcmene streamed past in pursuit of Santa Brigida, Young focused his attention on Thetis, coming within range at 11,30. The British outnumbered their opponents, but the French position was protected by Spanish gun batteries and the complicated shoals that obscured the entrance to Algeciras Bay. Sailing directly from his station off Cadiz, Saumarezs squadron consisted of six ships of the line. Discovering the French at anchor in Algeciras on the morning of 6 July, with his intentions frustrated, Saumarez ordered his squadron to withdraw, five of his ships limping out of the bay while the batted Hannibal remained trapped. Isolated and unable to manoeuvre, Captain Solomon Ferris on Hannibal endured the fire for another half an hour before surrendering his ship. While the British and French squadrons conducted hasty repairs, the French and Spanish fleet at Cadiz was prepared for a rescue mission, on 1 August 1798, the French Mediterranean Fleet was almost completely destroyed at the Battle of the Nile in Aboukir Bay off Egypt. As a result, the British Royal Navy became dominant in the Mediterranean Sea and imposed blockades on French and Spanish ports in the region, including the important naval bases of Toulon and Cadiz. In June 1801, a squadron of three ships of the line that had detached from the Egyptian squadron departed Toulon for Cadiz under the command of Contre-Admiral Charles Linois. The squadrons orders instructed Linois to join with the French and Spanish fleet at Cadiz, on hearing this news, Linois postponed the plan to reach the Spanish naval base and instead anchored at Algeciras, a well-fortified coastal town in Algeciras Bay, within sight of Gibraltar. At Gibraltar, the ship in harbour was the small sloop-of-war HMS Calpe under Captain George Dundas. The message arrived on 5 July, delivered by Lieutenant Richard Janvrin in a small boat, the admiral, a veteran of the Battle of the Nile, immediately gathered his ships and sailed eastwards to investigate. He had only six ships of the line as one, HMS Superb under Captain Richard Goodwin Keats, was on detached duty at the mouth of the Guadalquivir River with the brig HMS Pasley. Saumarez sent messages in the frigate HMS Thames recalling Keats, who followed Saumarez towards Algeciras and he therefore resolved to return to his station observing the Spanish at Cadiz, retaining Pasley and Thames. Arriving at Algeciras on 9 July, the combined squadron was ready to sail again on 12 July, departing Algeciras to the westwards during the evening. The British squadron under Rear-Admiral Sir James Saumarez, having effected its own hasty repairs, finding that his ships were falling behind, Saumarez instructed his captains to separate and attack the combined squadron as best they were able to. The fastest ship was HMS Superb under Captain Richard Goodwin Keats, Superb fired on the rearmost ships, setting the 112-gun Real Carlos on fire and capturing the Saint Antoine. Unable to determine friend from foe in the darkness, Real Carlos inadvertently engaged the Spanish ship San Hermenegildo, both ships subsequently exploded with enormous loss of life. A second stage of the battle developed, as HMS Venerable took the lead of the British line. In a furious and protracted engagement, Venerable suffered heavy damage and was driven ashore, in France, despite the heavy Spanish losses, the battle was celebrated as a victory, with Troude widely praised and promoted for the defence of his ship. In August 1798, the French Mediterranean Fleet was largely destroyed by a British fleet at the Battle of the Nile during the French invasion of Egypt. Saumarez was informed of Linoiss arrival, and turned eastwards to confront him, Saumarez attacked immediately, but found that his ships were hampered by a lack of wind. Becalmed under heavy fire, the British squadron inflicted severe damage on the French ships which withdrew into shallower water, when Saumarez ordered his ships to follow, HMS Hannibal grounded as well, trapped under a heavy barrage from the shore. With no wind with which to manoeuvre and the boats all either sunk or engaged in towing the battered HMS Pompée back to Gibraltar. The battered British squadron retired to Gibraltar, except for Hannibal, at Cadiz, le Pelley had to plead with Mazzaredo for assistance, the Spanish admiral agreeing on 8 July to send a powerful squadron under Vice-Admiral Don Juan Joaquin de Moreno to Algeciras. Morenos force consisted of two 112-gun first rate ships of the line, Real Carlos and San Hermenegildo, the 96-gun San Fernando, 80-gun Argonauta, with this force was the 74-gun French ship Saint Antoine, which a few days earlier had been the Spanish San Antonio. With the squadron were the frigates Libre and the Spanish Sabina as well as the French lugger Vautour. The force was anchored close to Algeciras, well out of range of cannon at Gibraltar, shadowing the combined squadron was a small British force under Captain Richard Goodwin Keats on HMS Superb with the frigate HMS Thames and the brig HMS Pasley. Although part of Saumarezs squadron, Keats had been too late to take part in the first battle, when Moreno sailed, Keats was initially chased by portions of the Franco-Spanish squadron, but eluded and followed them, subsequently joining Saumarez at Gibraltar. Pompée was temporarily abandoned in the yard, her crew redistributed to work on the rest of the squadron, the arrival of a light easterly wind which would favour passage back to Cadiz encouraged both Moreno and Saumarez to prepare for departure to the Atlantic base on the following day. At 12,00 on 12 July, Caesar warped out of Gibraltar dockyard with her playing the popular song Heart of Oak to the answering strains of Britons. The Action of 19 January 1799 was a minor naval battle of the French Revolutionary Wars fought in waters of the Strait of Gibraltar, off Punta Europa. The British warships failed to defend the convoy, losing a gunboat sunk, the convoy lost a ship and two brigs. For this action Mourelle de la Rua was promoted to frigate captain, once the Spanish Navy realized how useful gunboats could be in naval warfare, they established a base for them at Algeciras. The deployment had two objectives, impede British naval trade with Gibraltar and second, protect Spains own commerce, during the Great Siege of Gibraltar Admiral Antonio Barceló commanded the naval forces responsible for blockading the bay that included a fleet of several xebecs and gunboats. One of his successors was Francisco Antonio Mourelle de la Rua, at 2 PM on 19 January 1799 a British merchant convoy consisting of four ships and three brigs sailed from Gibraltar escorted by a 74-gun ship of the line and an 18-gun brig of the Royal Navy. As they left Gibraltar, three gunboats accompanied them out of the bay to defend them against the Spanish gunboats based in Algeciras. After several hours of harassment, at 7,30 PM, Mourelle managed to cut off a ship, the three British gunboats immediately came to their assistance. One of the British gunboats sank and the ones were captured. In the afternoon of 19 January, HMS Strombolo, an armed with one gun and under the command of Lieutenant William Davies. She towed Transport 55 clear of the mole at Gibraltar and returned to bring out another vessel, the activity drew the attention of the Spanish, who sent out a flotilla of gunboats and launches. Strombolo cast off her tow and moved to intercept the Spanish, eight Spanish vessels surrounded her and in the exchange of fire, a Spanish cannonball holed Strombolo at the larboard bow. She rapidly filled with water so the crew abandoned her, the Spanish picked them up from the water, the second British gunboat lost that day was HMS Wilkin, under the command of Lieutenant Henry Power. 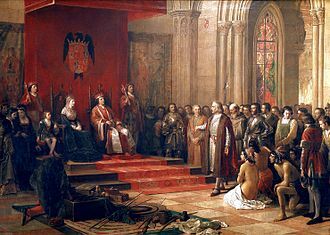 Under the terms of a secret convention Spain had to pay 72 million francs annually to France, until it declared war on Britain. The British had learned of the treaty, and knew it was likely that Spain would declare war soon after the arrival of the treasure ships. Bustamante had set sail from Montevideo on 9 August 1804 with four frigates loaded with gold and silver, on 22 September Vice Admiral Lord Collingwood ordered Captain Graham Moore, commanding the 44-gun frigate HMS Indefatigable, to intercept and detain the Spanish ships, peacefully, if possible. Moores ship arrived off Cadiz on 29 September and was joined on 2 October by HMS Lively, in line abreast they patrolled the approaches to Cádiz. At dawn on 5 October, the Spanish frigates sighted the coast of Portugal, at 7 a. m. they sighted the four British frigates. Bustamante ordered his ships into line of battle, and within an hour the British came up in line, to windward of the Spaniards, the British Commodore, sent Lieutenant Ascott to the Spanish flagship Medea, to explain his orders. Bustamante naturally refused to surrender, and impatient of delays, at 10 a. m. Moore ordered a shot be fired ahead over the bows of Medea, almost immediately a general exchange of fire broke out. 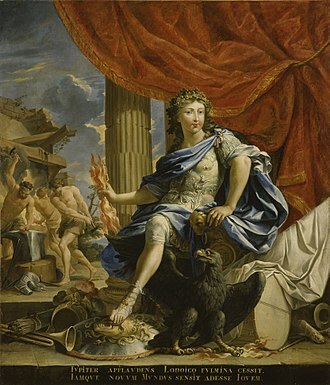 Within ten minutes the magazine of the Mercedes exploded destroying the ship, within half an hour the Santa Clara and the Medea had surrendered, and the Fama broke away and trying to flee, the Medusa quickly followed. However, Moore ordered the faster Lively to pursue, capturing the Fama a few hours later, the three frigates were taken to Gibraltar, and to Gosport, England. 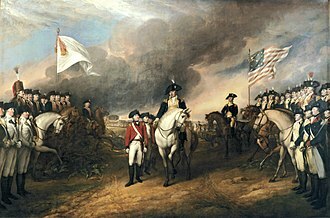 Spain declared war on Great Britain on 14 December 1804, only to suffer a catastrophic defeat less than a year at the Battle of Trafalgar in October 1805, having crowned himself Emperor on 2 December, gained Spain as an ally in his war against Britain. Still, the ships and cargo were assessed at a value of £900,000. After much legal argument an ex gratia payment was made amounting to £160,000, the Medea was taken into the Royal Navy as HMS Iphigenia, Santa Clara as HMS Leocadia and the Fama as HMS Fama. The Action of 25 January 1797 was a minor naval battle of the French Revolutionary Wars, fought in the Gulf of Cádiz. After an intermittent but fierce exchange of fire, the British warships, the San Francisco de Asís, which suffered only minor damage, was able to return to Cádiz without difficulties. The commander of the ship, Captain Alonso de Torres y Guerra, was promoted for his success, the winter of 1796–1797 was one of the stormiests of the 18th century. The British Royal Navy lost the ships of line HMS Courageux, wrecked off Gibraltar, a French expedition sent to Ireland to assist the rebel United Irishmen against the British government failed due to the storms. The Spanish navy suffered the effects of the winter, the British navy, on the outbreak of the war, withdrew from the Mediterranean Sea and was stationed in the Iberian Atlantic coast, from Cape Finisterre to Gibraltar. Among the British ships based in Lisbon, there was a division under the Earl of Galloway which comprised the frigates Lively and Meleager, and the sloops Fortune and Raven. According to Sir John Barrow, 1st Baronet, Second Secretary to the Admiralty for 40 years, known as Lord Garlies, was an excellent man, the lack of response to the signals of recognition made from the Spanish ship put on alert its crew. Minerve and Meleager were armed, with 24-pounder carronades, at 1 pm the British division had approached enough to open fire on the San Francisco, who had hoisted its flag, ready to engage Galloways ships, which hoisted their British flags. The San Francisco opened fire, and a battle ensued without intermission until 4 pm. In the process, the San Francisco received the fire of two British frigates which successively shot him with grapeshot. The Spanish ship could only return the fire with the stern chasers of its batteries, although she luffed occasionally to shoot broadsides on the British frigates, inflicting serious damage. The British gunners, noted for their skill through the war, were not particularly accurate during the action, and San Francisco, already hit by the storm, didnt suffer serious damage. The French fleet under Captain Cosmao attacking Diamond Rock. Painting by Auguste Mayer. Battle between San Francisco de Asís and three British frigates and a corvette. Oil on canvas. Naval Museum of Madrid. George Stewart as a post-captain. 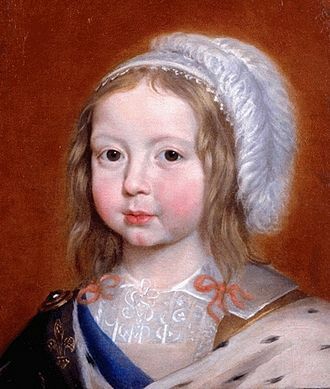 Watercolour on ivory by Anne Mee. Engraving of Gibraltar as seen from the north, depicting the view as seen in 1852. Engraving of a Spanish gunboat of the late 18th century. The British attacking a breach in the defenses of Montevideo. British commander Sir Samuel Auchmuty. The action of 5th October 1804, a painting by Francis Sartorius.